Even if you’re a veteran psychonaut — someone who regularly traverses the realms of consciousness via psychedelic enhancement — it’s impossible to know what you’ll encounter on the other side of a trip. For some, that’s part of the allure: psychedelics launch you into a dimension that science nor medicine can fully quantify. In fact, we know relatively nothing about these enlightening drugs because they’ve been bound by prohibition for the last 60 years. Magic Medicine, one of the latest books delving into the realm of psychedelics, provides an enlightening framework that encapsulates the enigmatic (and illicit) nature of these psychospiritual substances. As of late, an increasing number of scientists have been willing to maneuver through the array of bureaucratic hurdles to pursue psychedelic research. The Multidisciplinary Association for Psychedelic Studies (MAPS), for instance, has been conducting experiments looking at the results of LSD-assisted psychotherapy. MAPS is also the group responsible for the recent research studying the effects of MDMA on post-traumatic stress disorder. There’s an unwavering desire to understand these mysterious, hallucinatory compounds. And it implies what the ancient cultures have always told us: Psychedelics can facilitate healing and transformation. The research has created a cushion of acceptance unlike any other era. The last wave of semi-approval (if you even call it that) was in the ’60s. But instead of hippies dropping L on the Haight, affluent tech-employees microdose LSD at work– in Silicon Valley. Written by Cody Johnson, the founder of Psychedelic Frontier, Magic Medicine reflects the psychedelic renaissance in which we’re currently living. The book offers a glance at 23 psychedelics: from Ayahuasca and magic mushrooms to the obscure Yopo and Vilca Beans. It avoids predicting the role psychedelics will play in years to come; yet leaves the reader with a sense of intrigue and optimism for a bright, hallucinogenic future. Here’s a breakdown of the compounds that made us trip out the hardest. 5-MEO-DMT might as well be considered the paradoxical milk of the gods. It’s one of the oldest sacraments, yet one of the newest psychedelic discoveries. Also known as Toad Medicine, it’s both rare and exceptionally common, as it naturally occurs in dozens of plants and animals—including humans. But unlike LSD or MDMA, it’s not really a recreational drug you’d find on the black market. It produces an overwhelming, profound, and sacred experience, yet men in the Yanomami tribes of South America casually use it every day. Discovering the Colorado River Toad in 1965 solidified the enigmatic and dynamic nature of this unique DMT-compound. The venom of this specific toad genus, Bufo alvarius, has obscenely high levels of 5-MeO-DMT, which is unheard of in the animal kingdom, Johnson writes. Though many in the Bufo family produce bufotenine, a type of tryptamine, the Colorado River Toad has an enzyme that converts bufotenine into 5-MeO-DMT. 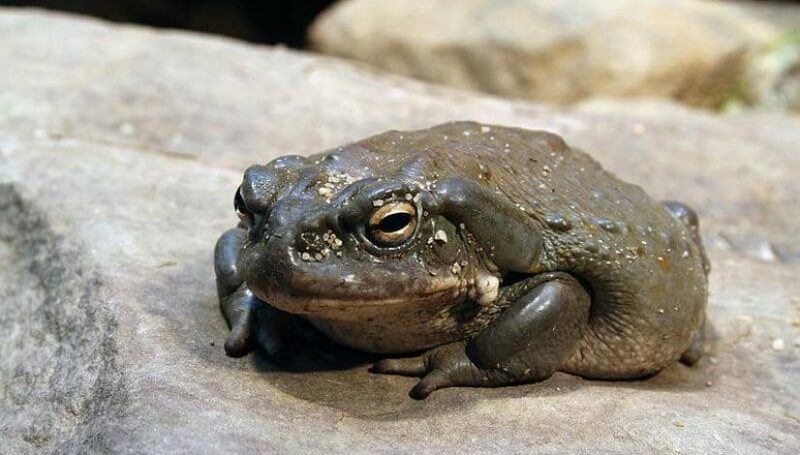 Licking this toad can potentially make you ill, so don’t make out with a toad if you see one—your prince(ss) charming will not come to your rescue. Discovered in 1980 by chemists Alexander Shulgin and Michael Carter, DiPT is easily the strangest substance featured in Magic Medicine—and in the realm of hallucinogens, period. Instead of thrusting users into a realm of alien landscapes, there are zero visual elements with this intoxicant. Rather, DiPT is an auditory hallucinogen, and under its influence, everything sounds lower in pitch. Voices are deepened, guitars sound like giant gongs, and music loses its harmony. It can be thought of as the opposite of a helium balloon, but it affects all sounds, especially those with well-defined pitches. The first hour or two can be intense, Johnson warns, as the vapor hits users with an energy rush likened to the onset of MDMA, and the lightheadedness and shortened attention span of most other psychedelics. Bloating, nausea, and painful inner-ear-pressure are also common experiences during the onset. The sound distortion doesn’t kick in until about three to four hours after ingestion, though, and can last up to 36-hours. Johnson explains that Shulgin, the chemists who discovered DiPT, believes we should be researching the drug more because it might be able to tell us a bit about the nature of hearing. When you think about psychedelic cactus, Peyote is usually the first that comes to mind. Few people know about the magic of San Pedro, which has essentially thrived in the shadows of obscurity for more than 3,000 years. Found throughout South America and the Andés, this unique cactus is associated with the native peoples of Peru, Bolivia, Ecuador, Argentina, and Chile. Today, the cactus is used among indigenous communities in these areas in a syncretic way. The ceremony often includes Christianized elements, like images or statues of the Virgin Mary and angels, or rosary beads, Magic Medicine details. Alongside these Catholic icons are often objects that represent the important spirits of their ancestors. The Mescaline-laden cactus yields an eight to 12-hour trip, usually including all the hallmarks of psychedelia: kaleidoscopic visions, life changing epiphanies, intense feelings, and distortions of time and space. Those who consume the green cactus-goo often say the experience is meditative, emotional, and a way to stare into the essence of one’s own consciousness and understand its relation to everything else. No, mad honey is not a viscous concoction made by the Mad Hatter in Alice In Wonderland. Rather, it’s produced by a particular species of azalea, mountain laurels, and rhododendron flowers that contain a chemical called “grayanotoxins,” which affect the central nervous system. It has a history as both a biological weapon and prized inebriant, as it causes dizziness, convulsions, tingling extremities, hallucinations, vomiting, problems with breathing, and an altered state of mind. A spoonful of madness-goop, though not lethal, is enough to cause noticeable mental and bodily effects, including a mental high, sensations of movement, and spatial distortion. Perhaps the most fascinating aspect of mad honey is the fact people have used it since 401 BCE. The Athenian army once gorged on the sweet nectar while traveling back to Greece after waging war against Persia—they obviously didn’t know what it was. The Athenians were incapacitated for days by diarrhea and nausea. More than three centuries later, Roman troops suffered a similar fate while trying to invade Persia, except they were ruthlessly set up. Familiar with the dangers of mad honey, the Persians laid out pots of the sweet nectar as a trap for the Romans to find. And it worked. The Persians defeated the horribly disoriented Roman army with hardly any trouble. Some scholars even hypothesize that mad honey might be responsible for the prophetic trance states endowed upon the Oracle of Delphi. If true, would this alter history? In some cultures, especially among islanders in Polynesia and the Indian Ocean, there’s an ongoing tradition of intentional fish intoxication, but for the most part, such trips are accidental and unpleasant. Who likes nausea, dizziness, disturbing nightmares and feelings that make you think you’re dying? We’re pretty sure no one does. The best known fish to cause hallucinations is the Sarpa Salpa that live off the coast of Africa, Hawaii, Australia, and the Mediterranean. But they aren’t the only ones to cause hallucinations. There’s a whole host of “dream-fish” species and, apparently, the intensity of the trip increases when you eat their heads. So, if you ever embark upon a trippy fish head, proceed with caution. Magic Medicine states there are an estimated 8.7 million species in the world, one-fourth of which are thought to live in the ocean. Somehow, we know more about the ocean than we currently do psychedelics—and we’re only just beginning to understand the complex ecosystems of the sea. The post Psychedelic Sea Sponges to the Colorado River Toad: <i> Magic Medicine </i> is a Rabbit Hole of Hallucinatory Wisdom appeared first on High Times. TNMnews Interviews: Sandy Suchoff of The Canna CPAs, Accounting for Cannabis Companies	Anatomy of a Bong 101: What are the Different Parts of a Bong?